Paul Verlaine and Arthur Rimbaud are two French poets who have made a huge contribution to the world literature. Their relationship is called passionate, disastrous, “wrong.” Paul Verlaine was a man of subtle spiritual organization, easily succumbed to someone else’s influence, and Rimbaud was called a young genius scoundrel. Arthur Rimbaud, the free-spirited French poet whose openly gay lifestyle shocked even the most avant garde artists of London and Paris in the late 19th Century. Whatever it was, but their relationship gave birth to beautiful poems, which are still read by the descendants. Arthur Rimbaud was born in 1854. Learning was given to Arthur easily, he showed success in rhyme from childhood, but he lacked zeal. The mother did not care at all to impart elementary manners to her son, to pay attention to the appearance. Arthur grew up an absolute slob. The unique talent of writing contrasted sharply with the negligent looks of Rimbaud. Paul Verlaine and Arthur Rimbaud are two French poets who have made a huge contribution to the world literature. Their relationship is called passionate, disastrous, “wrong.” Paul Verlaine was a man of subtle spiritual organization, easily succumbed to someone else’s influence, and Rimbaud was called a young genius scoundrel. Whatever it was, but their relationship gave rise to beautiful poems, which are still read by the descendants. When Arthur Rimbaud turned 16, he decided to write to Paul Verlaine, at that time already known to the poet. The young man admired Verlaine’s creativity and attached his poems to the letter. To the great surprise of Rimbaud, Paul Verlaine liked his poetry, and he even invited the young man to Paris, paying the way. Paul Verlaine grew up in completely different conditions, his mother loved him very much, and from childhood he was easily succumbed to someone else’s influence. Already at a young age, he tasted alcohol and hashish. But, what was most frightening for the poet, is the attraction to men. Paul Verlaine believed that this was unnatural. He tried to “heal from this disease,” by tying himself in bonds of marriage. The chosen poet was Mathilde Mauté de Fleurville. Being a 17-year-old girl, she was in Verlaine’s verses. In 1870 they were married, and soon Matilda became pregnant. 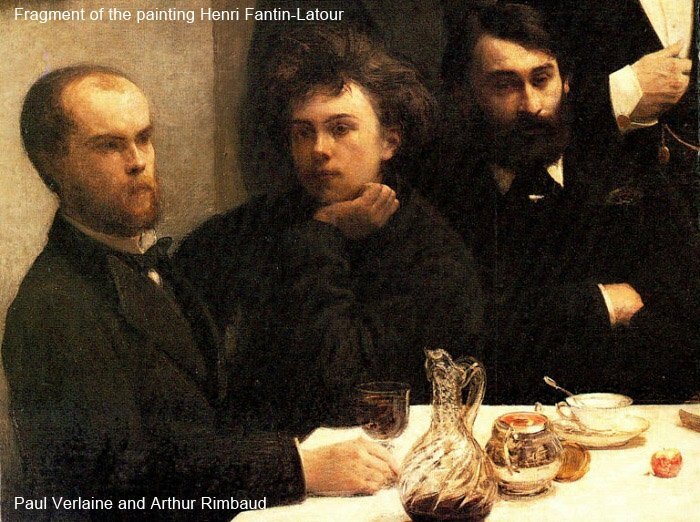 Paul Verlaine introduced Arthur Rimbaud, who was 10 years younger than him, to his circle. Friends did not know how to relate to the poet’s protege. His talent was recognized by all, but the terrible behavior of Rimbaud repelled people. Matilda could not tolerate Rimbaud for a long time at home and, in the end, insisted that her husband kicks him out. Paul Verlaine tried to attach the young poet to his acquaintances, but he was persecuted from everywhere. Then he rented a room for the “dear friend”. Arthur Rimbaud had a detrimental effect on Verlaine. If earlier he somehow held back the “demons” inside himself, now they broke free. When Verlaine moved to the side of homosexual love, the images of Minerva and Venus immediately disappeared from his poems. Moreover, Verlaine began to get drunk on a daily basis to unconsciousness. The poet preferred absinth. The poet used to be very aggressive when drunk. Paul Verlaine began to beat his wife, but every time after the fights he begged forgiveness from Matilda. One day he almost provoked a miscarriage. In the end, she could not stand it and applied for a divorce. In the passionate relationship of the two poets, aggression was constantly present. Once, Arthur wounded Paul with a knife in the thigh and arm. He did not report it to the police. 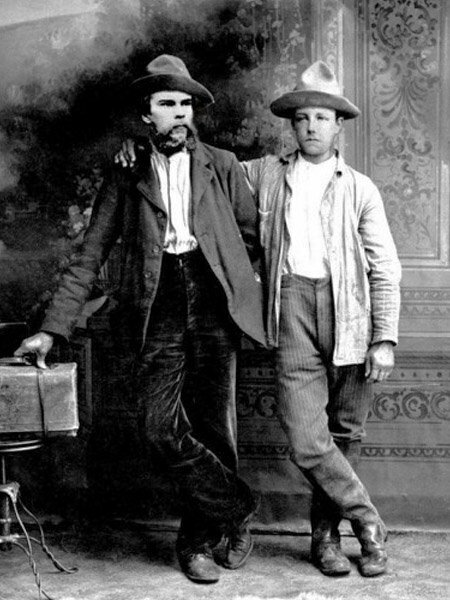 After a while, Verlaine had already shot at Rimbaud, and it ended for him with a 2-year prison sentence. 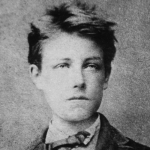 However, Arthur Rimbaud even rejoiced at this turn of events, he became tired of an adult, always drunk lover. After being released from Verlaine’s prison, they met for the last time. Their conversation ended in a quarrel. Arthur Rambo found himself wealthy patrons and went to the colony. As for Paul Verlaine, every year he fell ever lower. The only “bright spot” in his life, he considered the connection with the “brilliant scoundrel”. Arthur Rimbaud died at 37 years old. 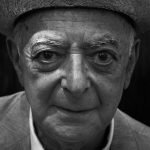 It is this age that is called critical for poets. Paul Verlaine died of pneumonia in Paris at the age of 51.